Are journalists getting 'tone' of Trump coverage right? A new columnist at The New York Times and his views on climate change have prompted some readers to cancel their subscriptions in protest. In his first column for the Times, Bret Stephens said advocates for climate policy can take a lesson from Hillary Clinton's failed presidential campaign and her reliance on data to predict the election. The column angered scores of environmentalists and climate change activists. Many took to social media with promises to cancel their subscriptions. Scientists also joined the fray. Stefan Rahmstorf, a climatologist and professor of physics at Potsdam University in Germany, posted a letter he wrote to the Times that said Stephens' views "run counter to all evidence." "He is simply repeating falsehoods spread by various 'think tanks' funded by the fossil fuel industry," Rahmstorf said. Stephens, the former deputy editorial page editor for the Wall Street Journal and a Pulitzer Prize winner, shot back at his critics Sunday. He told CNNMoney that one point of the column was "to help the climate-advocacy community improve the quality of its persuasion." "I am by no means an expert in climate science, and I take it as fact that the earth is warming, perhaps dangerously so. Nor am I infallible: Human fallibility was my very point," he said. "That said, I have reasonably good credentials in writing and reading. Clearly some of my critics need remedial education in these basic subjects." 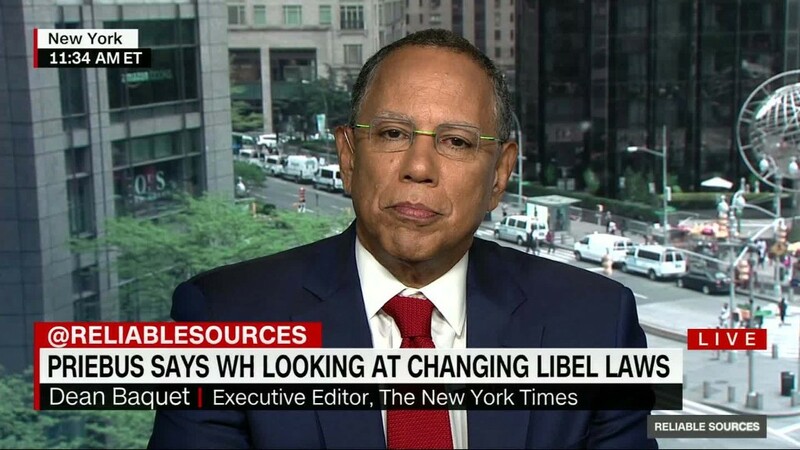 And Dean Baquet, the newspaper's executive editor, said Sunday on CNN's "Reliable Sources" that Stephens was brought on because of his opinions. "Didn't we learn from this past election that our goal should be to understand different views?" Baquet said. Baquet also noted that the paper's editorial page is separate from its newsroom, and that he does not supervise Stephens. He added that the Times has 10 reporters dedicated to covering climate change.